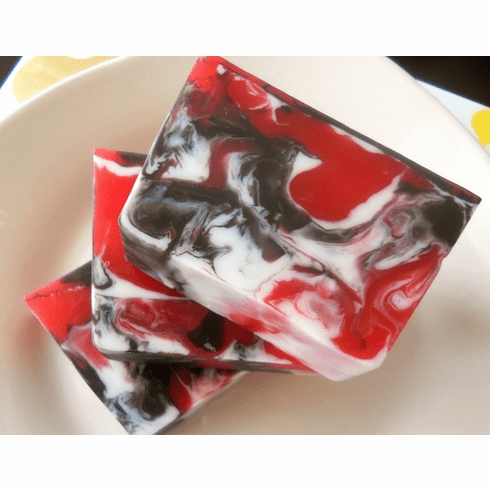 The deep and complex scents of this soap have hints of woodsy amber, patchouli, sandalwood, and vanilla spice. Its name is inspired by a red resin that is derived from various plants that are thought to have healing powers and are aids in spells. Be spell-bound by this captivating fragrance that is sure be loved by both men and women. Before I pour the liquid soap, I added a generous helping of olive oil for a great skin-nourishing lather. Soap weighs approximately 5.5 oz and is SLS and detergent-free. Vegan Friendly!